We purchased new pillows, and they are fatter than the pillowcases easily hold so after struggling a few weeks to shove the pillow into the case, I decided it was time to make some new pillowcases. 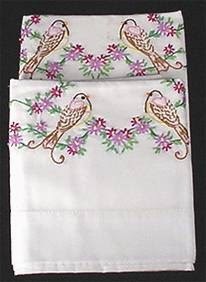 Pillowcases are easy to make, but you need to use French seams to keep the cases from fraying and to make them easy to slide the pillows into the casing. Cut two pieces of sheeting fabric in a size suitable for your pillows, plus 4 inches on the sides and 10 inches on the ends. Most sleeping pillows are about 20 inches wide and if you're using 45 inch wide fabric, it works out without any trimming. We like to cut off the selvage edge so it doesn't pucker the stitching. A standard pillow may be about 24 inches long; the king size may be 36 inches long. Measure your pillows around with a measuring tape just as you would measure your waist and divide by two, since you’re measuring all the way around. Alternatively, if you're using 44 or 45 inch fabric and have small pillows, you may not need to make any cuts on the side, as this makes a 22 inch pillow case. Place the fabrics WRONG sides together (right sides out) and stitch a 5/8 inch seam on both sides and down one end. 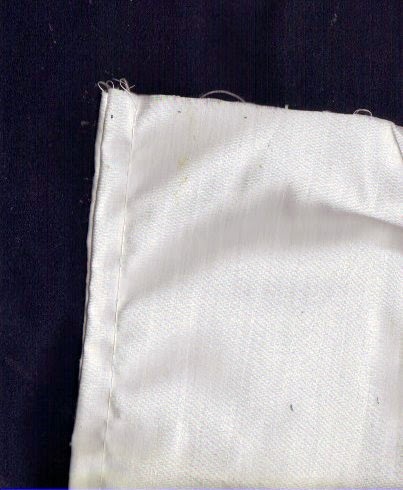 Trim the seam so that it’s smooth all around to prevent frayed areas from hanging out when you stitch it again. 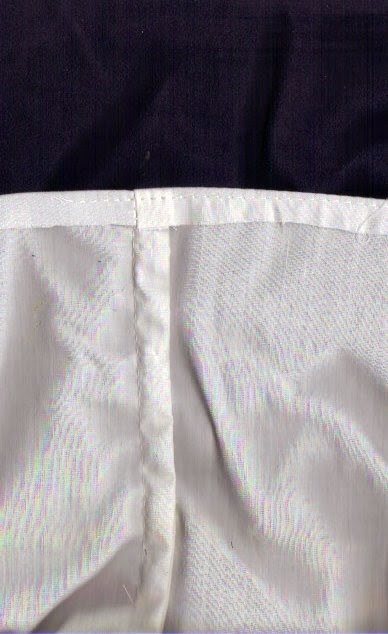 Turn the pillowcase inside out and press. Stitch 5/8 of an inch from the edge all around the three sides, encasing the first stitching and the raw edge. Here's what the inside looks like with the stitching in place. Turn the pillowcase so the right side is out and the stitching is inside the “bag.” Here's what it looks like from the outside. 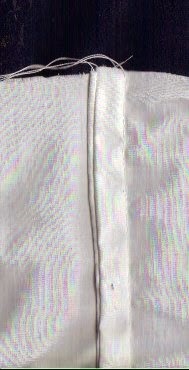 Fold the open end about 1/2 inch from the edge of the fabric and stitch as close to the edge as comfortable. Turn the pillowcase inside out again. Fold the open edge to the inside and press at the point you want the seam. 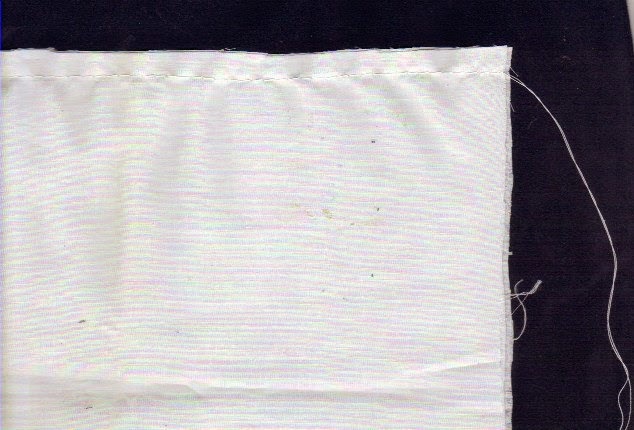 Some pillowcases have 1 1/2 inch seams on the open end; others have as much as 4 1/2 inches. When making your own pillowcases, it’s your preference that determines how wide you want the seam. If you want to add decorative trim, you might want to make the seam about 1 1/2 inches so the decoration won’t interfere with your sleep. You also want to consider that you need the fabric to come well over the end of the pillow. 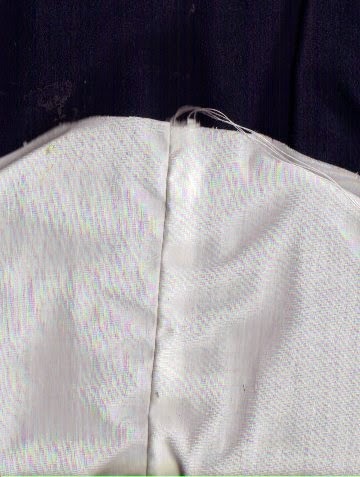 Stitch the final seam and press your pillowcase. Try the pillowcase on your pillow to be sure it fits, and make another one just like this one. Making a pillowcase is quick and easy and probably much less expensive than purchased pillowcases. Also, you can make them so they fit your pillows. They can be made of printed fabrics, or silk or satin. 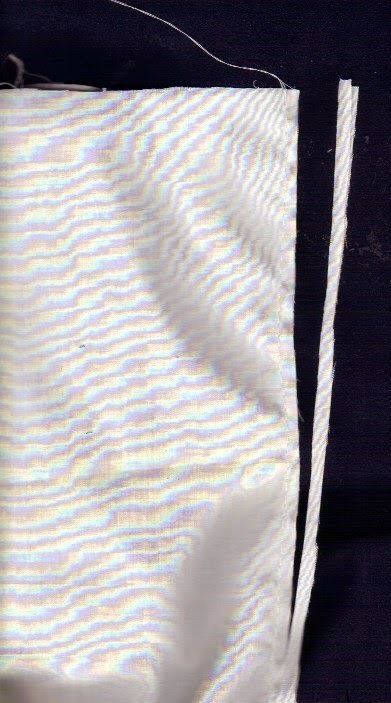 The French seam has many uses, including garment construction as well as purses, handbags and crafts. See you soon! 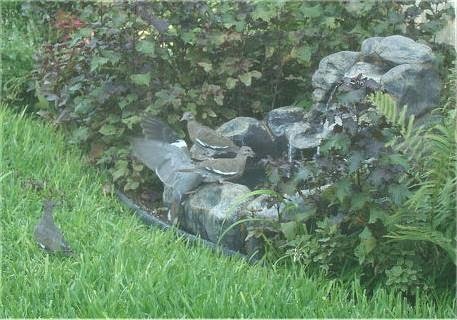 It's spring in Texas and the birds are already coming to the fountain for water.